It’s the epitome of the tropical love story. Sand as white and smooth as baby powder, palm trees, blissful weather and smiling faces. Fiji loves Australians and the love is returned. Bula! 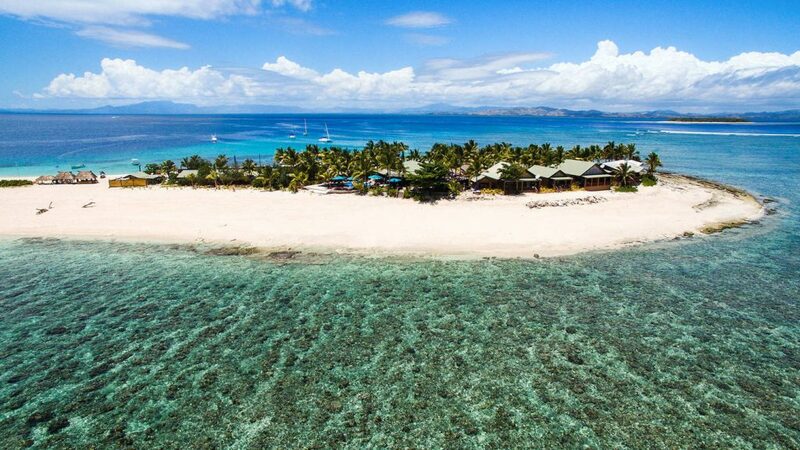 Forget Tahiti or the Caribbean, Fiji has some of the world’s best resorts right on our doorstep. Many of the more than 330 islands are occupied by just a single resort offering unrivalled privacy and luxury. On the mainland, at Denarau Island near the airport, all the big names in hotels and resorts are lined up with their best foot forward. Enjoy great dining, watersports,(grand) kids’ clubs and luxurious spa treatments as only the Fijians can do. One of the most memorable things about Fiji is the Fijians themselves. Broad, welcoming smiles and a wonderful, easygoing sense of humour that enforces relaxation. Nothing happens in a hurry in Fiji and it’s this laidback attitude that warms hearts and eases troubles. Beneath this hospitable warm exterior is a rich Melanesian culture filled with beautiful songs, dance and solemn rituals like the kava ceremony, that define this region of the Pacific. More than 330 islands make up the Republic of Fiji, many of them completely uninhabited. You can get a taste of this unique island lifestyle with day trips from Port Denarau or overnight stays at any of the many resorts with amenities and facilities ranging from hostel-style bungalows to mind-blowing luxury villas and suites. The choice is yours and there’s an island for every budget. One of the most popular ways to enjoy Fiji is aboard a ship, big or small. The larger cruise liners have been visiting Fiji for decades, stopping at Suva, Lautoka and Port Denarau near the airport at Nadi. Several operators of small, boutique vessels spend days cruising among the smaller islands, typically in the Mamanuca and Yasawa groups to the west, but occasionally further afield to the seldom-visited districts to the north and west where islanders live a more traditional lifestyle. Where to start? There is so much to do in Fiji regardless of whether you’re staying at a resort, visiting by ship or just hanging around. Naturally many activities like sport fishing, scuba diving, surfing and beach combing centre around the ocean, but enriching cultural experiences, adrenalin-pumping jet boat river cruises and jungle safari experiences take place inland, yet never far from the sea.